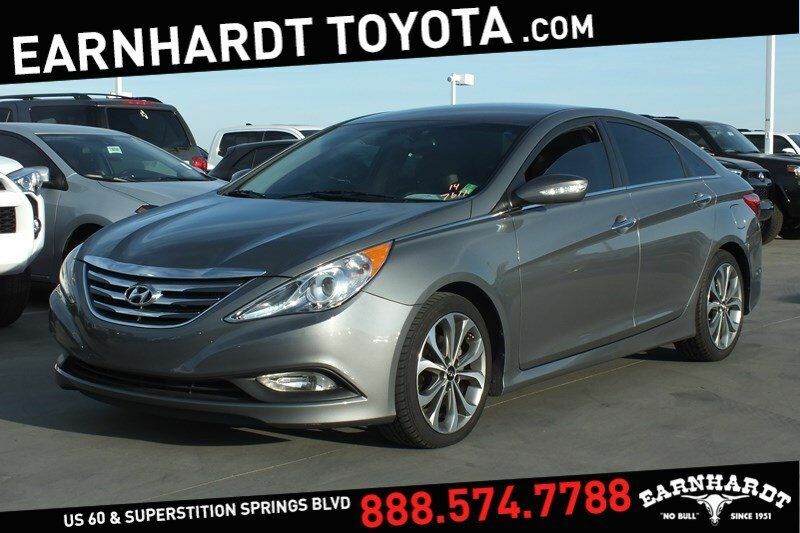 We are happy to offer you this 1-OWNER 2014 HYUNDAI SONATA 2.0T which was recently traded in to our dealership. This has been owned in Arizona since new and has an accident-free Carfax report. This has 18" factory wheels and the tires have good tread on them. The Harbor Gray exterior shows well with no crucial damages or flaws in the paint. The Gray upholstery is in good condition with no serious wear or tears present. This has been well maintained and currently has 86k miles, you're going to be impressed with this reliable sedan when you personally view and test drive it! Features include power windows, power door locks, tilt wheel, cruise control, hands-free phone capable, steering wheel audio controls, AM/FM/CD player, backup camera, heated seats, cup holders, console, power seat and more.